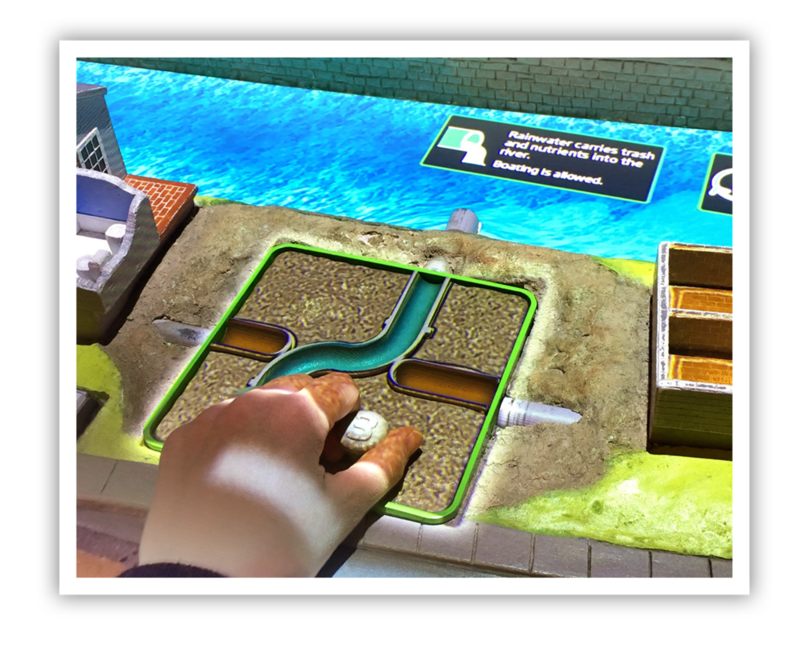 Engineering in a River System is a 2016 American Alliance of Museums, MUSE award winning interactive about trade-off in an highly engineered river system. 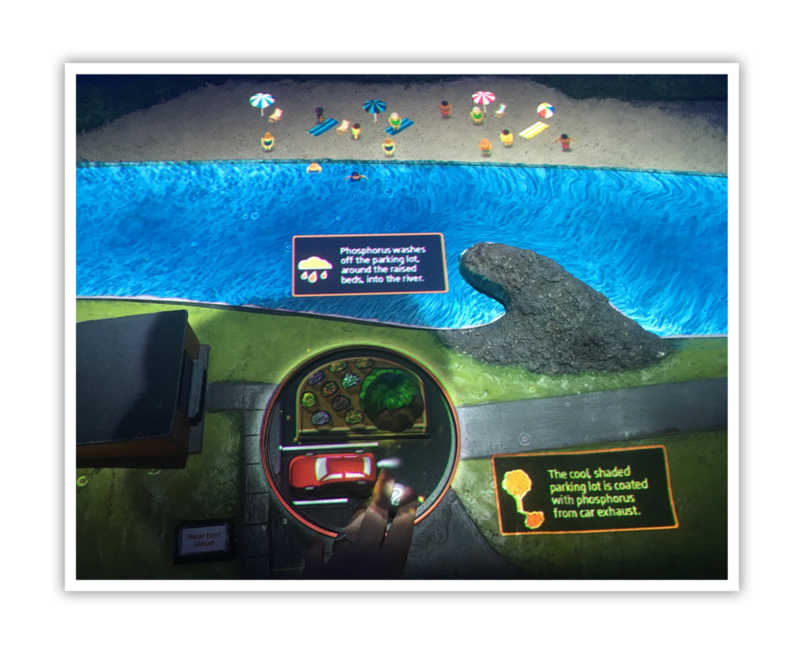 This interactive is part of the Yawkey Gallery on the Charles River at the Museum of Science, Boston. Working with the exhibit development team and fabricators this 24 foot table comes to life by projected animations on this tactile surface. 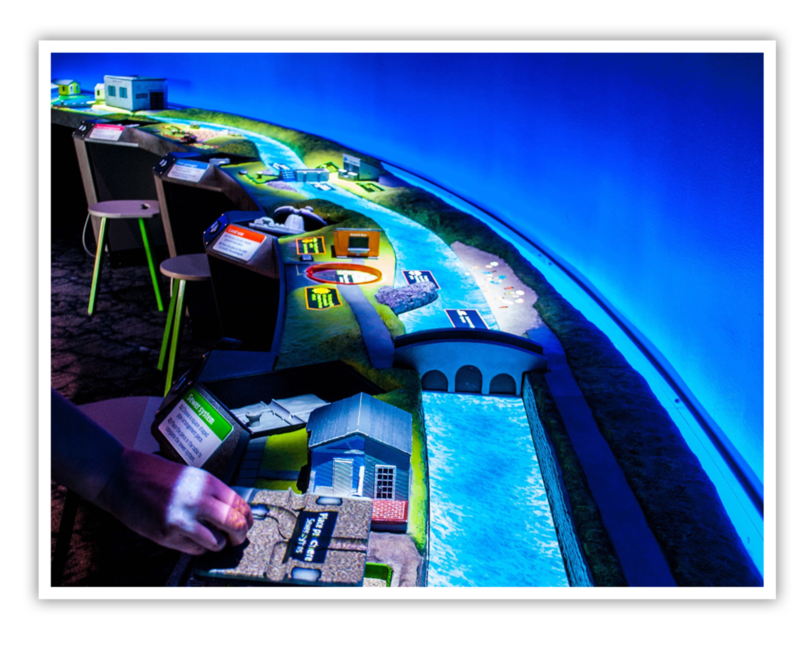 Each of the five stations use playful animations to teach about dams, pesticides, fish ladders, runoff, and sewer overflow. The river table is a fully animated experience with many moving parts. Each illustration had to be drawn at an angle, bird’s-eye view, to mimic how the visitors view the built scene the animations are projected on. The illustrations had to be heavily simplified to be clear at this small scale, and broken up to be animated. There are five unique stations along the river table that have three different pieces that trigger a unique animation associated with each. We designed these pieces to be extruded and then 3D printed. They were designed in these shapes so that visitors can only place the correct pieces in their designated slots. The river table is designed so that the animations, without text, can teach about trade-offs. For visitors who would like some more detail about each scenario there are pop-up callouts that enhance the animations. There are simple icons that go along with each text block helping aid in the learning process of all visitors.